Trip Notes Part 2: Show Me a Little Merc! It is no secret to my friends, family, and readers that I am a Mercedes Geek. It goes back to my youth when my Dad – Dr. Mechanical Engineer – regaled me with stories of the overengineering wonders that Mercedes cars were (it should be noted that a few short years after I started driving he changed alliances to Lexus). The first new car I am old enough to remember my parents buying was a Mercedes, I learned to drive on a Mercedes, and when I was finally married and on my own, I bought my first. I have since owned about fifty of them from across the range. 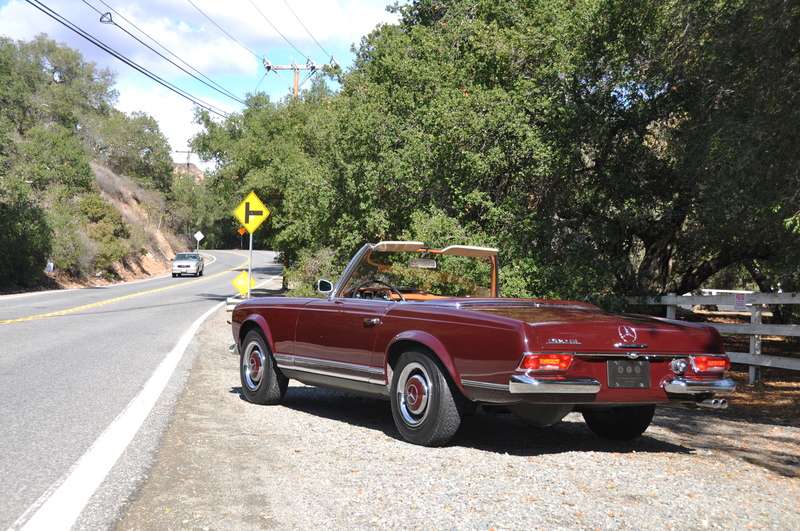 Suffice it to say that I have a passion for Mercedes cars, especially the classics. So after a couple of days of Porsche immersion, meeting up with the good folks at the Mercedes-Benz Classic Center USA for some Benz time was like putting on your favorite pair of shoes. And then driving them.